K. Smart Associates Limited specializes in Municipal Drainage Engineering under the Ontario Drainage Act. We are experts in the application of the Ontario Drainage Act to solve drainage problems, design engineering, preparing drainage reports, assessment schedules, presentation of drainage reports at public meetings, representation of client at Ontario Tribunal, construction administration, and grant applications. Over the last 35 years, K. Smart Associates Limited has completed well over 1,000 municipal drains in Ontario. We have 4 drainage Engineers who specialize on projects involving the Drainage Act. Project sizes ranges from just a few hectares of land to thousands of hectares of land. Projects have been completed in fully urban settings and mixture of urban and rural settings. Many Drainage Act projects now include storm water management design, channel stabilization and channel naturalization components in order to protect our environment. Stormwater management design is completed in house and other specialists are included in the project as necessary. We provide full Drainage Superintendent services to several Municipalities in Ontario. 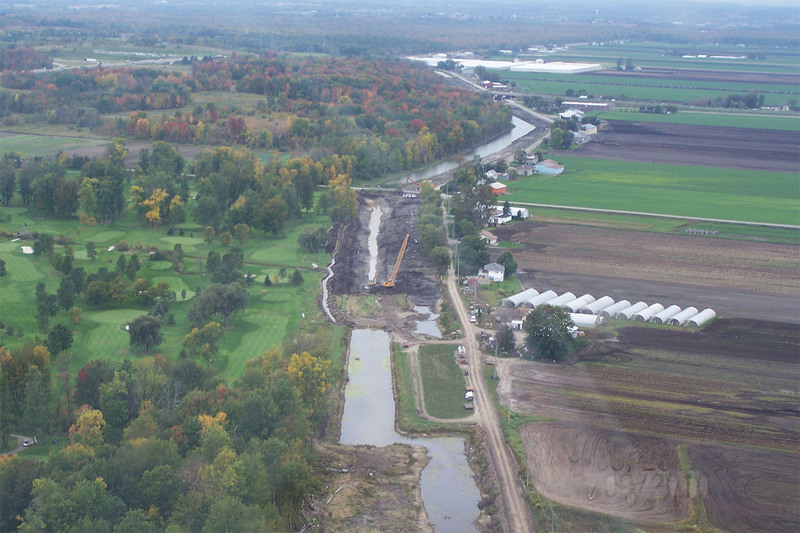 We work on drainage projects in Southern Ontario, Eastern Ontario and Northern Ontario.